This top is sure to make a statement at the party! 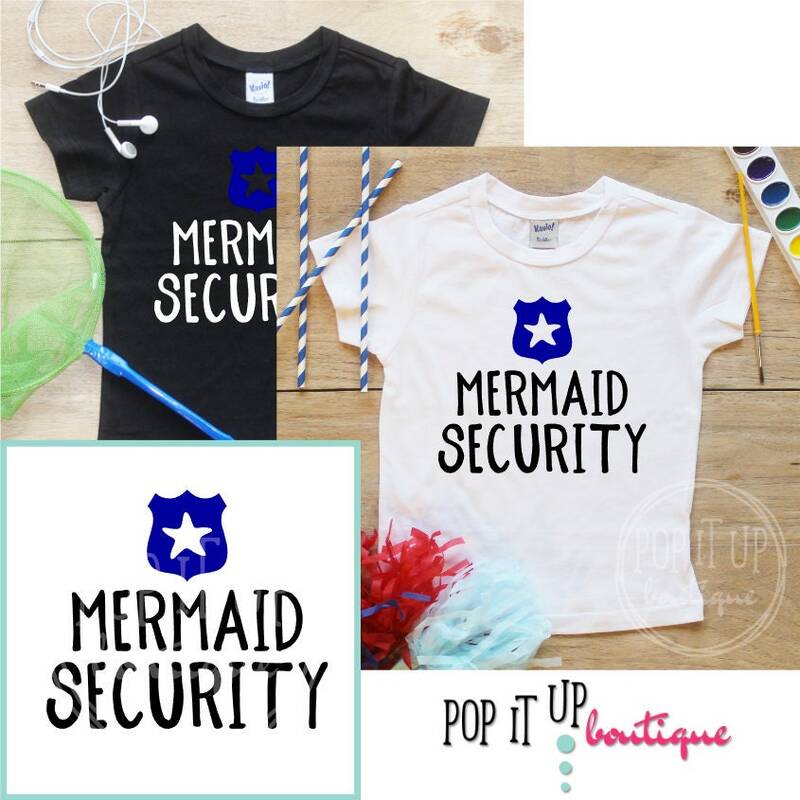 Featuring "Mermaid Security", you get your choice of a black or white, bodysuit or t-shirt. Quick Note: If you select a black t-shirt or bodysuit, the text will be in white. If you select a white t-shirt or bodysuit, the text will be in black.